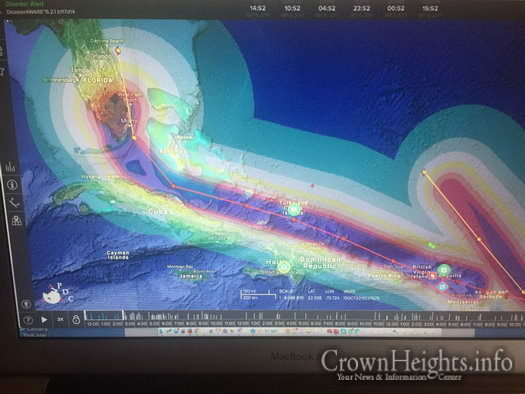 Chabad-Lubavitch centers from the Caribbean to the Carolinas are urgently helping Jewish communities prepare for Hurricane Irma, the most powerful hurricane ever recorded over the Atlantic Ocean. 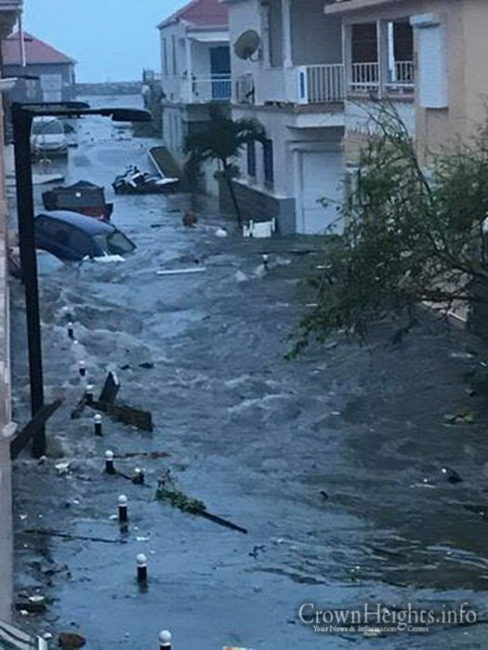 Emissaries at Caribbean Chabad centers have been reaching out to community members throughout the week, especially the elderly, the infirm, the homebound and those living alone to try and ensure their safety. Preparations began at the first reports of another potentially catastrophic storm soon after Hurricane Harvey. 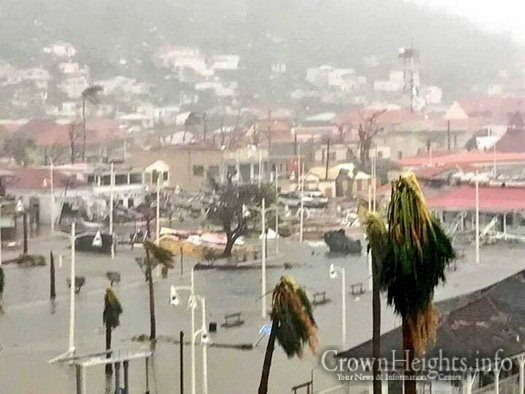 “We are finishing up our last preparations for the storm and are fully stocked,” Rabbi Asher Federman, who co-directs Chabad-Lubavitch of the Virgin Islands in St. Thomas with his wife, Henya, tells Chabad.org. Posting on social media, the rabbi reached out to his community, telling residents that they can stay with him and his family for the duration of the storm, as well as hang mezuzahs on the doorposts of Jewish homes there that don’t have them. 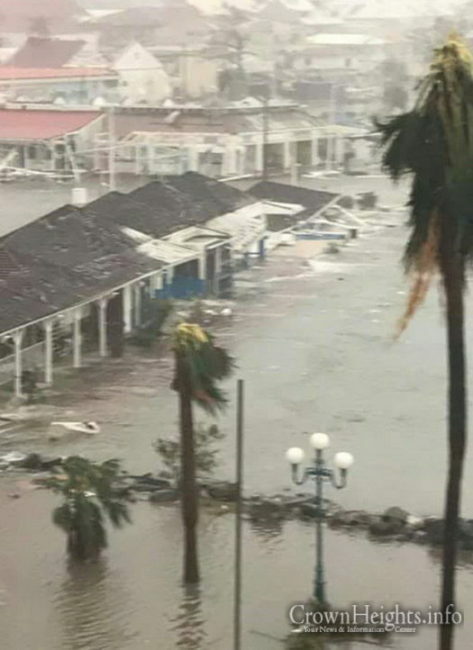 Classified as a Category 5 Hurricane with devastating winds of up to 185 mph, Irma first barreled through Barbuda early Wednesday morning, cutting off all communications with the island before heading towards St. Martin. Screaming winds, storm surges and heavy rain pummeled the islands, as many sought refuge in government-run shelters. 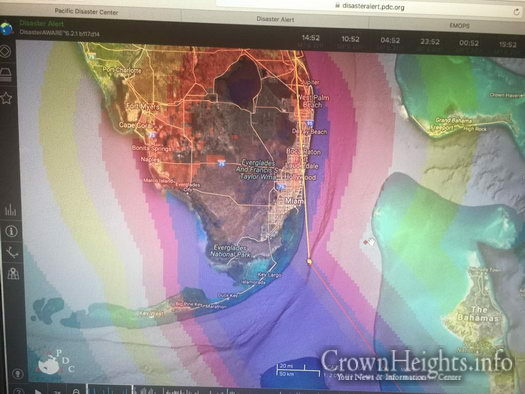 Widespread damage has already been reported. 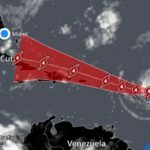 The storm was expected to pass near or over Puerto Rico on Wednesday afternoon and evening. 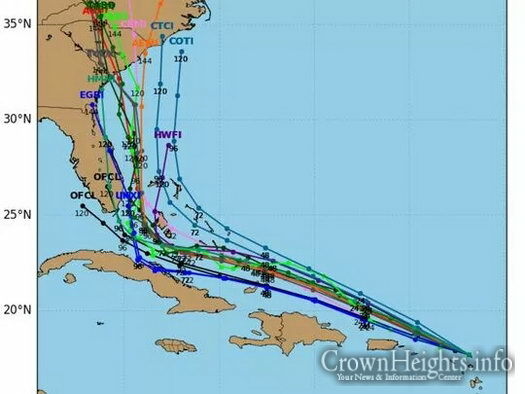 Meteorologists at the National Hurricane Center expect the hurricane to make landfall in Florida some time on Saturday. They note that it is very possible that the highly unpredictable storm could turn northward instead and make landfall as far up as the Carolinas. 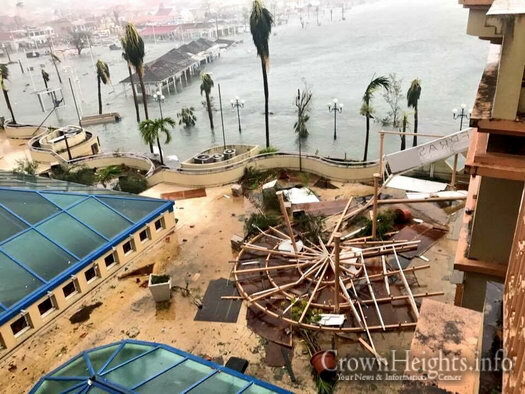 Memories of the damage from Hurricane Wilma in 2005 remain fresh in the minds of Key West residents, where stores are already out of water and canned tuna fish, and gasoline is in limited supply. During Wilma, recalls Zucker, water entered his home and rose more than two feet, while the streets around him were completely flooded. 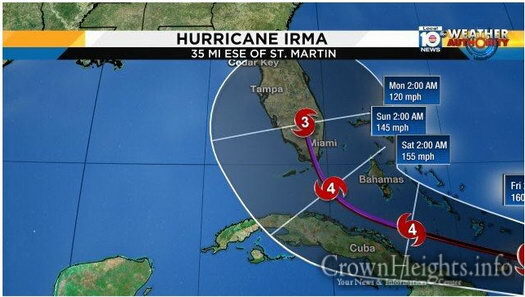 Though he and his family rode out that storm at home, if Hurricane Irma remains on course to hit the Florida Keys, the Zuckers plan to evacuate. Either way, they have prepared their Chabad House, which is on a slight hill, to accommodate people who need a place to stay, though the rabbi has encouraged people to heed the warnings and evacuate if the storm continues on its track. In addition to stocking up the center with extra food and water, Zucker says he has taken all items that can be picked up by the intense winds and moved them inside, including children’s bikes and toys. 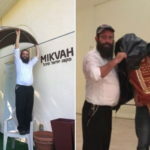 “We have a playground at the Chabad House, and yesterday we tied it down more and took off the awning on top of it so that it doesn’t tear off and turn into a projectile during the storm,” he says, adding that he will also be removing the awning outside the mikvah. 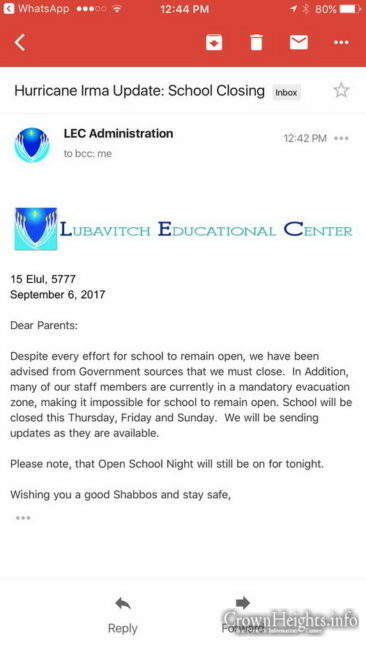 In Coral Springs, Fla., Rabbi Yankie Denburg, co-director of the Chabad Jewish Center in Coral Springs, Fla., with his wife, Chana, reached out to the community on social media, noting that he was compiling names of people who do not have close friends or relatives nearby who can check on them in the event “we get hit bad and lose electricity, etc.” He also asked for volunteers to check in and give emotional support to residents near them who could use a reassuring phone call.